Though it may seem counter-intuitive, pruning your trees regularly has many benefits. By cutting away the old, bad parts of your trees, you may seem them bloom with renewed vigor. Let’s take a look at the case for keeping your trees neatly pruned throughout the year. Sometimes a tree’s branches can catch diseases, break, or otherwise become damaged. These problems can be addressed using various methods, but one of the simplest is to prune them. By removing those problem branches your tree can continue to grow and thrive unencumbered by decaying parts. Not only that, but by removing diseased branches, you can stop the spread of various fungi before it reaches the tree’s trunk. Pruning a dense section of your tree’s leaves can also help the rest of the tree to get the sunlight and nutrients it needs. As we’ve mentioned, falling trees are a dangerous and entirely preventable phenomenon. When trees are allowed to grow freely, they can grow beyond what they can support which can lead to falling, splitting, and other problems. When you prune these problem branches back, your tree can grow without threatening your home or other trees in the area. Shape Your Tree into the Ideal! Clever and professional pruning practices can actually help your tree grow more evenly. For better or worse, most trees don’t grow in a uniform pattern. They may be thicker and stronger in some areas and sparse in others. By employing a professional arborist to handle your trees, you can enjoy trees that have been shaped to perfection. Trees that grow more evenly won’t run into as many issues with splitting branches and falling. Not to mention the fact that they will be much more aesthetically pleasing in your overall landscaping environment. Nelson Tree Specialist is Here For Your Pruning Needs! 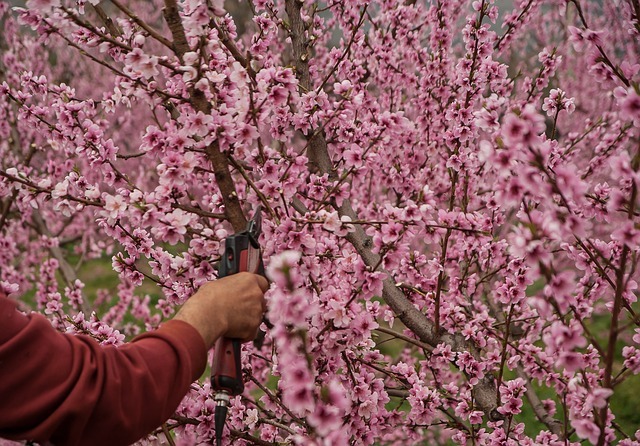 For all of your pruning needs, look no further than the experts at Nelson Tree Specialist. We can address everything your trees need to live their best life. We can even remove stumps, dead trees, and handle everything else you may need. Contact us today to learn more about how we can help you with your trees. This entry was posted on Tuesday, January 8th, 2019 at 1:20 pm. Both comments and pings are currently closed.